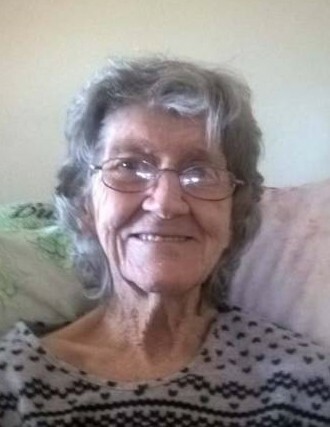 Mae D. Tackett, 88, of Olive Hill, KY entered into rest Wednesday, August 8, 2018. She was born May 20, 1930 in Olive Hill, KY, a daughter of the late Oscar and Wanda Kiser Salyers. Mrs. Tackett enjoyed going to church and was a member of the Olive Hill Nazarene Church. She liked to shop, babysit and working crossword puzzles. In addition to her parents, she was preceded in death by her husband, Coy Tackett on February 28, 1999. Mae is survived by two sons, Randall Lee Tackett (Tami) of Olive Hill and Allan Ray Tackett (Arnetta) of Morehead, KY; two daughters, Deloris Ann “Susie” Tackett of Olive Hill and Marilyn Kay Weddington (Sam) of Sandy Hook, KY; six grandchildren; ten great-grandchildren; one great-great grandchild; and one special friend, Charissa Barker, whom Mae babysat. Funeral services will be conducted at 3:00pm on Saturday, August 11, 2018 at the Duvall & Moore Funeral Home with Bro. Warren Vanover officiating. Burial will follow at the Pleasant Valley Cemetery in Olive Hill, KY.